MatTek is a biotech company that uses polymer surface modification technology to engineer tissue cells on computer chips for use in medical testing. The company is a world leader in the production of three-dimensional reconstructed human tissue models used in the cosmetic, chemical, pharmaceutical and household product industries. 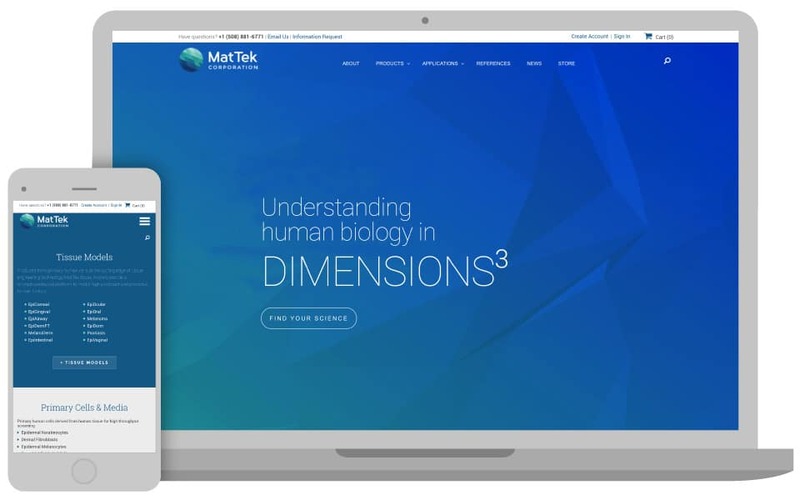 MatTek had two outdated sites, one corporate and one for eCommerce, which it used to sell other lab products such as glass-bottomed dishes used to grow cells. The sites didn’t reflect the company’s role at the forefront of the industry or the level of technology it uses. 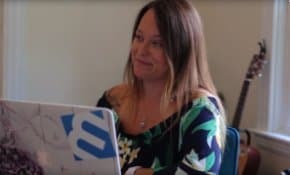 In addition, the company wanted to launch a new site quickly, before a major conference. 3 Media Web integrated the corporate and eCommerce sites into one site, built from scratch on WordPress and using WooCommerce to power eCommerce. 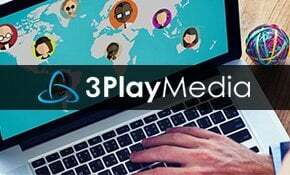 3 Media Web took care of the back-end information architecture to combine all of the information on both websites while still making it easy for different audiences to find what they’re looking for. A complete redesign highlighted the industry-leading technology the company uses to develop tissue samples. 3 Media Web used custom imagery from MatTek lab samples to highlight products. The company had a large library of reference documents online as well; 3 Media Web consolidated them on the website and created a custom search tool for clients to find applications and products the company offers. All of this was completed before the conference, and the site was launched on time.